Walt Disney Co. (DIS.N) reclaimed its box-office superpowers with the arrival of “Incredibles 2,” posting the best-ever opening for an animated film and easing the sting from its less well-received recent addition to the “Star Wars” canon. Disney’s Pixar Animation far exceeded early expectations, with “Incredibles 2” collecting US$180 million to blow past the $135 million animated-film record set by Pixar’s own “Finding Dory” in 2016. Industry estimates had swelled rapidly as stellar reviews -- 94 per cent positive according to Rottentomatoes.com -- flowed in, drawing excited fans over the Father’s Day weekend. The results were good news for Disney after a rare setback with the tepid response to its other recent release, “Solo: A Star Wars Story.” The company also learned this month that John Lasseter, the creative force behind hits like “Finding Nemo” and “Frozen,” is leaving for good in December. Lasseter, an executive producer on “Incredibles 2,” had been on leave following complaints from colleagues of inappropriate touching and comments. More good news may be ahead as the film expands worldwide. The sequel opened in just 26 percent of the international market, bringing the global total to an estimated US$231.5 million -- and that’s before it opens in China next weekend. 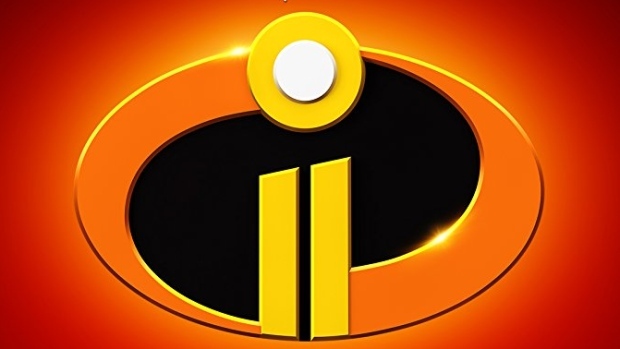 “Incredibles 2” has a chance to become Disney’s fourth film in seven months to surpass US$600 million at the domestic box office, Gitesh Pandya, founder of BoxOfficeGuru.com, said on Twitter Saturday. “Solo” is lagging behind that trend, collecting US$9.08 million in its fourth weekend to boost its cumulative gross to US$193 million, according to industry researcher ComScore Inc.
“Incredibles 2 is just the latest in a stellar lineup” following investments in Pixar, Marvel and LucasFilm franchises, said Paul Sweeney, an analyst with Bloomberg Intelligence. The original “Incredibles” took in US$70.5 million in its 2004 opening weekend. It had a budget of US$92 million, before marketing spending, according to Box Office Mojo. Holly Hunter returns as the voice of Helen, the mother of the family, which has secret superhero powers. She is called on to lead a campaign to bring the Supers back, while her husband Bob, Mr. Incredible, has to navigate the day-to-day challenges of normal life looking after their two children. A new villain emerges and hatches a plot the Incredibles have to overcome. There was one potential hiccup: Concerns from moviegoers about strobing light scenes in the film led the studio to post warnings at theaters. Viewers have cautioned others on Twitter that the scenes may be harmful to those with epilepsy or other conditions. Two other new releases competed for attention, with buddy comedy “Tag” coming in third place with US$14.6 million and the remake of “Superfly” reaching seventh with US$6.3 million, according to ComScore.